When you think of Singapore, you think of modern skyscrapers, high end shopping, amazing food and the world-renowned Changi airport. What you may not know is that Singapore invests a lot of money and effort into keeping its city clean and green. So much so that over the past few years, the Southeast Asian city-state has garnered attention for its environmental efforts in creating more and more green spaces for the six million people who inhabit the tiny island. There are so many beautiful parks and gardens to explore, Singapore has earned the title of being the “City in a Garden”. Needless to say, finding day flower deliveries in Singapore will not be a problem. If you are looking for an excellent and convenient service to arrange for flower deliveries online, a good place to start is to head to A Better Florist and order directly from there. 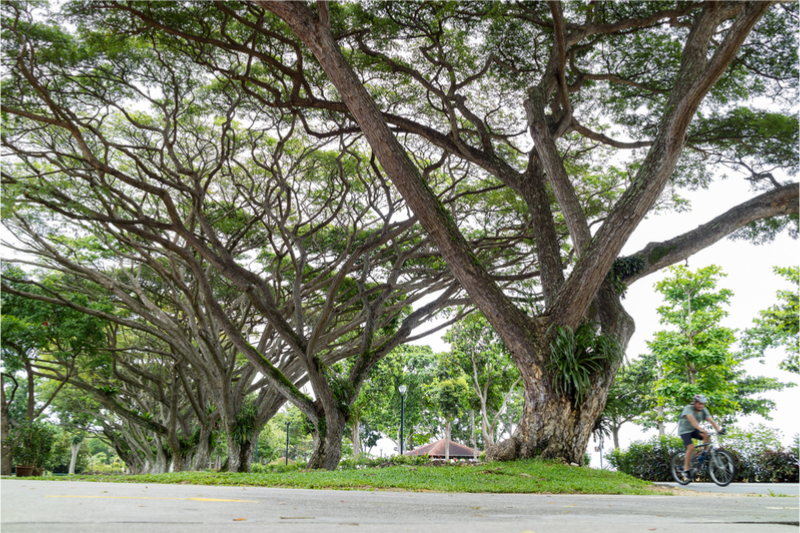 There’s not a lot of space in Singapore, which is why the nearly two square kilometres which make up East Coast Park makes it the largest park in the city. The location is superb as it is situated on the waterfront, which helps to create a peaceful and open environment. A fantastic way to get around the park is to take advantage of the extensive lanes by cycling around or by skate. If you happen to go on a weekend, you will see hordes of locals zipping around in scooters, bicycles and rollerblades. You can rent bikes on site at one of the many rental shops or reserve a barbecue pit for a picnic in the park. If nature is what you love then you need to head out to MacRitchie Reservoir. The park is perfectly situated around Singapore’s biggest reservoir and features some amazing hiking trails with the highlight being the Treetop Walk which features a 250 meter suspension bridge which takes hikers over a forest canopy. Aside from hiking, you can also enjoy a casual walk on the boardwalk or rent a canoe or kayak to explore the area. Seeing as the park is away from the urban density of Singapore, you will be able to enjoy the wildlife which includes lizards, monkeys and lemurs. 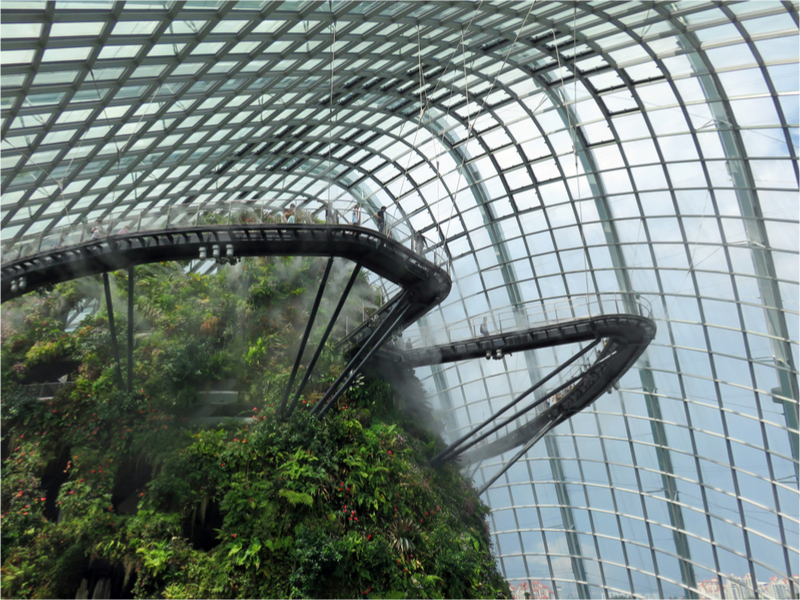 Gardens by the Bay is hands down the most popular garden amongst locals and even just a quick Google image search will show you why. The highlight of the park is the SuperTree Grove; a collection of 18 tall metallic structures that are covered with plants and other vegetation. After marvelling at the SuperTree Grove, hit up the Skywalk to enjoy a “bird’s eye perspective” view of the whole park. The park also boasts other great attractions including the Cloud Forest Conservatories, the Heritage Gardens, and the Flower Dome. It’s free to get into the park but exhibitions charge a small admission fee. 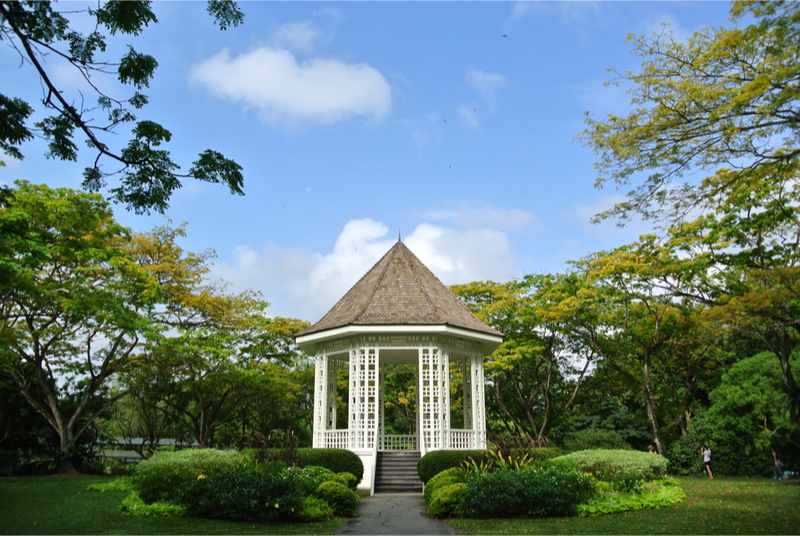 The Botanical Gardens represents one of Singapore’s original parks and is one of the most important historical landmarks of the city. It opened way back in 1859 and today the park boasts over 10,000 species of plants and is proudly one of the best places in the world to see the orchid, Singapore’s national flower. Aside from the stunning nature, it also happens to be one of the most tranquil areas to roam around in the city and you will easily forget that it sits in the middle of a densely populated city. It is a little bit further out from the city but the Chinese and Japanese Gardens offer a unique park experience due to the stunning architecture. They are officially two separate gardens but both are connected by the picturesque ‘Bai Hong Quiao’, a Chinese bridge that was influenced by a similar structure at the famed Summer Palace in Beijing.